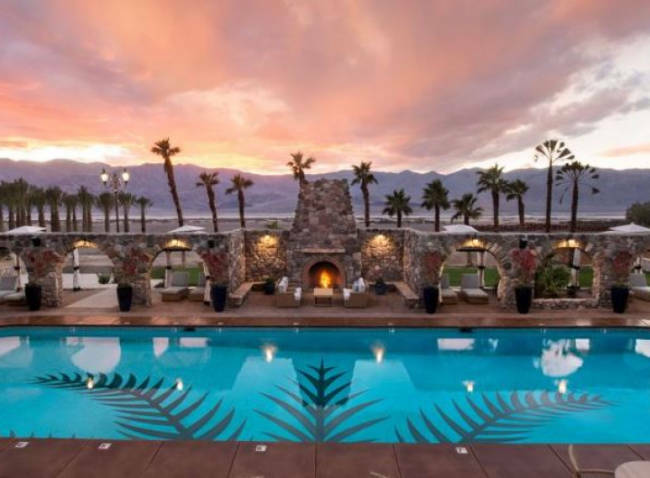 The Inn at Death Valley is a historic hotel set in a palm-lined oasis at the feet of the Funeral Mountains and overlooking the desert salt pans and the picturesque Panamint Range in Death Valley National Park. 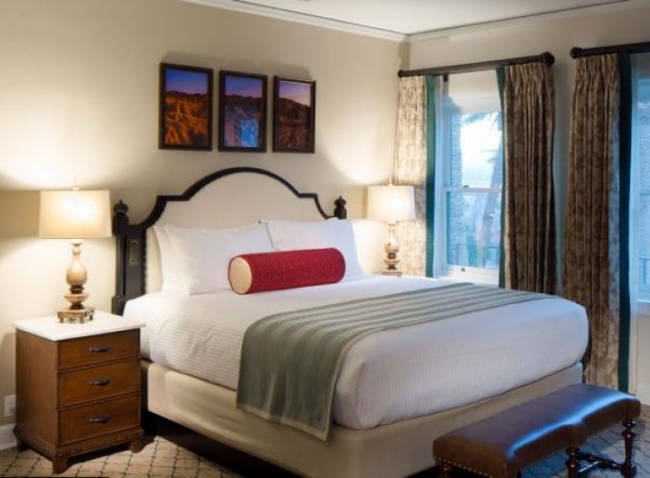 This mission-style structure, located on the flank of the mountain was renovated in 1997 in order to modernize it and make the rooms more comfortable yet special care was taken not to alter the inn's 1920’s charm. 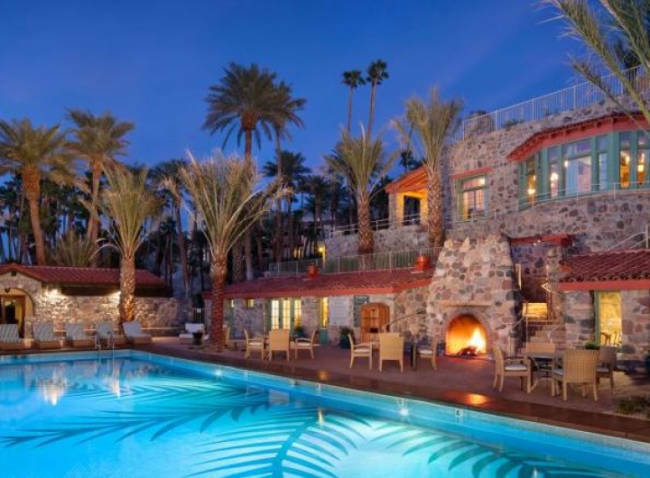 If you are prepared for a peaceful night after a bit of stargazing, check into The Inn at Death Valley. 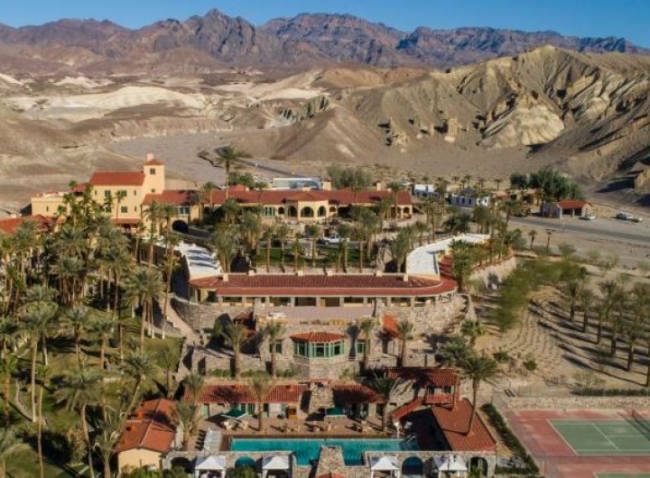 The Inn at Death Valley's convenient location in the heart of Death Valley National Park provides plenty of activities to choose from including tennis, golf, and horseback or carriage riding. If you choose to be frugal with your energy, there is a lot to sightsee in the vicinity: Zabriskie Point, Golden Canyon, Artist's Drive, and more. If you visit during warmer months, don't forget to drink a gallon of water a day as you roam the valley. 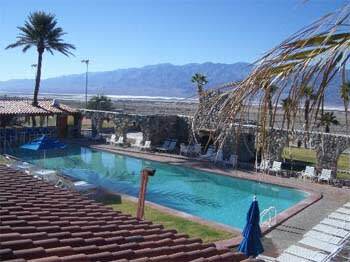 The Inn at Death Valley is closed from mid-May through mid-October. 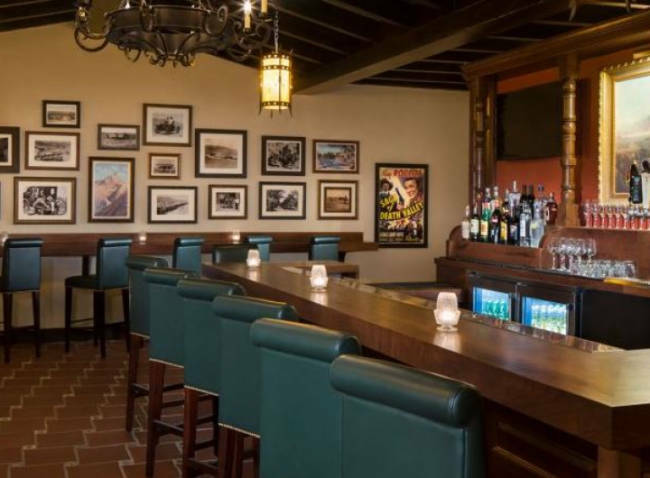 In addition to comfortable and convenient accommodations, you’ll enjoy fine dining at breakfast, lunch, and dinner at the Inn Dining Room. 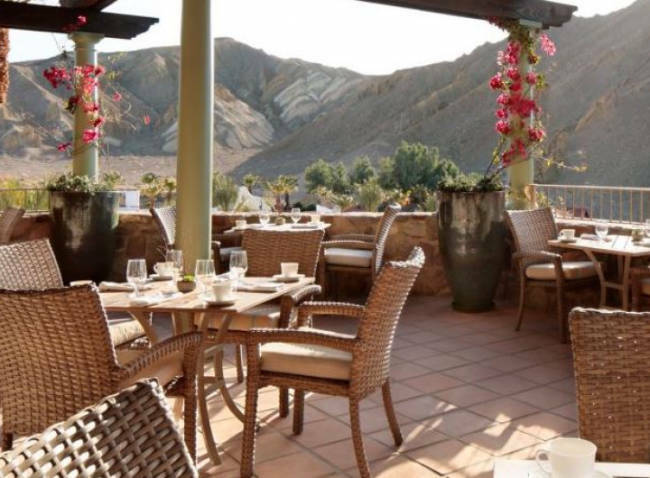 The Dining Room has stunning views of the desert flats and the surrounding mountains. 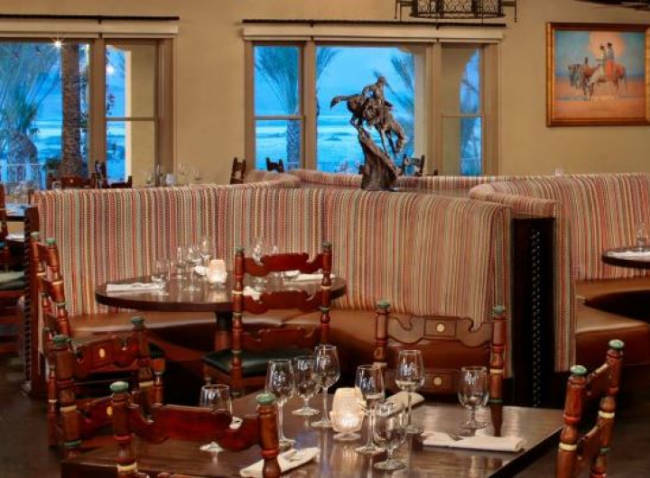 The Dining Room offers traditional and well-executed entrées and the unpretentious wine list offers good options at reasonable prices. Thought this place was great for the money. Nice pool, lovely golf course (very cheap to play in the summer too!) The grounds were well kept and the staff friendly and helpful. A few facilities on site for the essentials, great buffet breakfast in the restaurant. We were very content with our room at Furnace Creek. We'd asked for a quiet room and were happy to be accommodated in the 900 block - about a five or so minute walk from the office, restaurants, and shop. Our room was spacious, clean and well equipped and had a balcony with a great view. 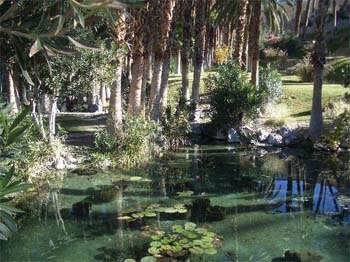 The Furnace Creek Ranch is quite an amazing piece of property. It's located in one of the most beautiful spots in the world with tons of things to do that appeal to both adults and children. 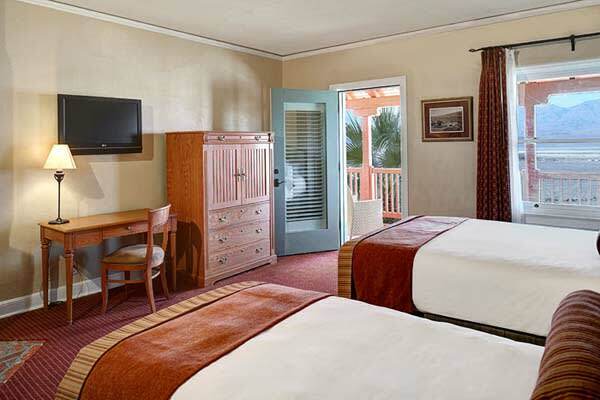 The Deluxe King Room offers extra space to stretch out a little and enjoy the views of the desert, mountains and garden area. 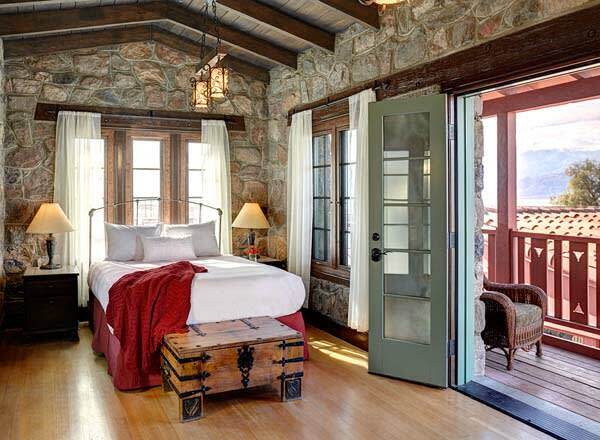 These rooms will accommodate two guests with a king size bed and a full private bath. These rooms are more spacious than the standard rooms and offer two double beds. These are a great option for a couple of friends traveling together or a small family. 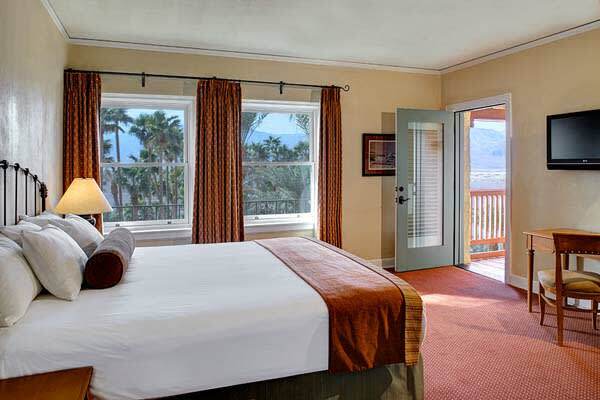 These rooms offer nice views of the desert, garden and Panamint Mountains. The rooms include a private bath. 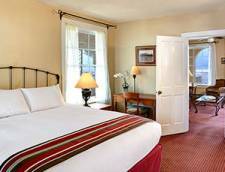 The Hillside Room comes with one king bed and a full bath (some rooms do not include a tub). These rooms will accommodate up to 2 people. The Standard King Rooms will accommodate two people with a large king bed and a full private bath (some only have a shower). 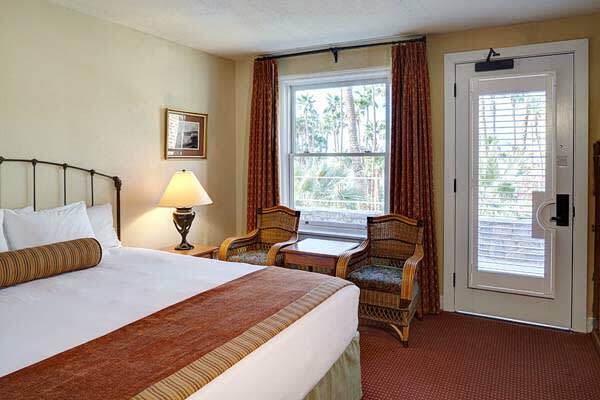 These rooms offer beautiful views of the desert, the garden area or the Panamint Mountains. 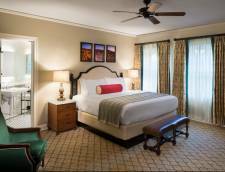 These rooms include a bedroom with a king size bed and a parlor with a pull-out sofa. These rooms will sleep up to four guests and include a private bath. A new addition in the Fall of 2018. 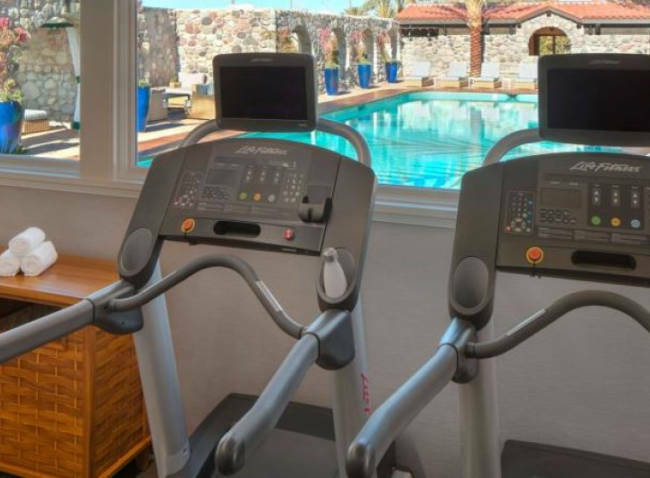 Casitas are duplex buildings located within walking distance of the Inn and the pool. They feature over 500 square feet, either one king bed or two queen beds, living room, wet bar, and a sofa sleeper. Each Casita comes with a complimentary golf cart for guests to get around the property. 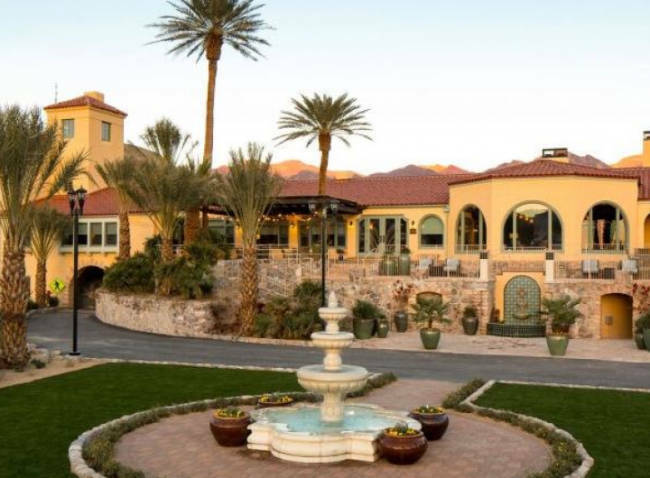 After check-in guests will leave their car at the Inn's parking lot, Casitas are not accessible via car, guests may use the golf cart to navigate the property and bring their luggage to the Casitas. Rates Policy: Taxes and surcharges are subject to change. 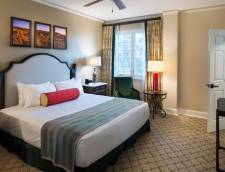 All room rates are subject to applicable taxes and/or surcharges. Rates may vary during holidays and blackout periods. Rates are based on double occupancy. 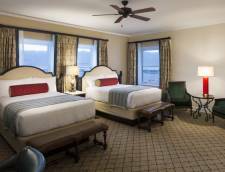 Each additional guest age 17 or over is an additional $20.00 per night. 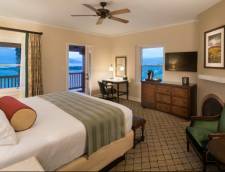 Please note there is an additional $12.00 Resort Fee per night per room.